Sooner or later all dropshippers face a situation when some products are out of stock. Now with 'Change Supplier' option you may find the same product at another store and replace your old link with a new one. Do not copy information after 'html', otherwise your old link will not be changed. 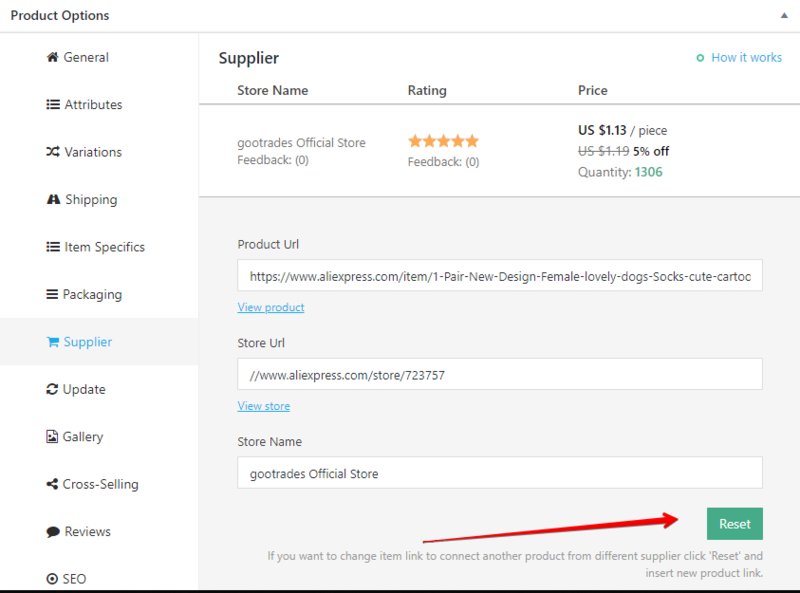 If you enable 'Reset variations, stock and pricing' option the plugin will reset product variations, stock and pricing, but title, featured image and description will not be changed. If you've deleted some variations and want to restore them - enable 'Reset variations, stock and pricing' option and click 'Update Product'.